The Volkswagen Passat has been around for a while, but you'll be hard-pressed to find a car that manages motorway miles as solidly. It still provides a strong challenge for the Ford Mondeo, Skoda Superb and Mazda 6, and in tandem with most Volkswagen cars, it's got an upmarket image, quality interior and impressive refinement. Passat saloon is available in a variety of specifications, including entry-level S, BlueMotion, Highline, all-new R-Line and top-of-the-range Sport. All versions of the Volkswagen Passat come with a generous amount of equipment, and a host of hi-tech safety features as options. There's also a wide range of more than capable petrol and diesel engines. The green BlueMotion model offers the lowest emissions, but all diesels will keep fuel consumption low. However, the latest low-capacity TSI petrol engines aren’t as far behind on efficiency as you might expect, and still deliver punchy straight-line performance. The Volkswagen Passat is still a class contender, despite its age - it still looks quite sharp and fits in with premium rivals such as the Skoda Superb. The front end is characterised by the familiar Volkswagen face, featuring stylish headlights that flow into a bold grille, with attractive taillights and a smooth bumper providing strong visual appeal at the rear end. Entry-level Volkswagen Passat S versions get 16-inch alloy wheels, while top-of-the-range Sport models get 17-inch rims and a chrome trim around the windows and bumpers. 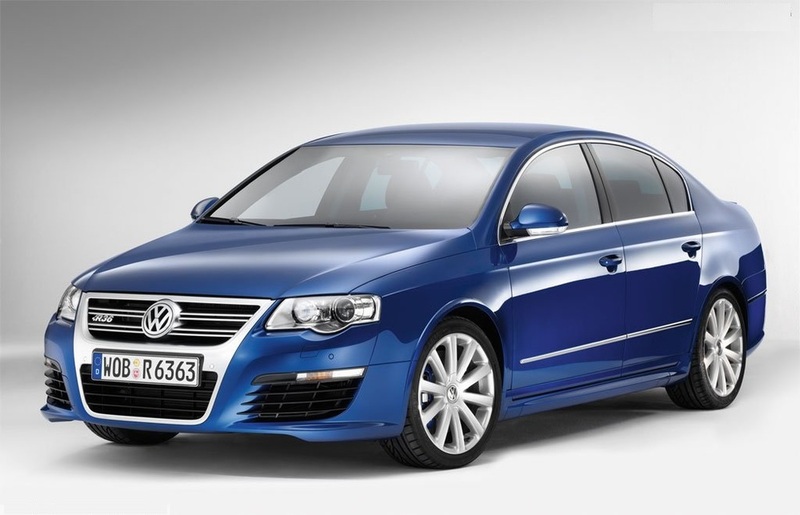 New R-Line models come with 18-inch alloy wheels, xenon headlights and a sporty styling pack. Buyers should be aware that Volkswagen Passat BlueMotion models don't feature alloy wheels - they get steel wheels instead, which are specially designed to maximise aerodynamic efficiency. The BlueMotion model also gets a lowered ride height and a more suitably aerodynamic bodykit to lower fuel consumption further. There's nothing to rave about in terms of the Passat's interior, but it is well built nonetheless. DAB radio features as standard on all models, but those wanting an easy-to-use touchscreen navigation and stereo set-up should opt for Highline specification and above.